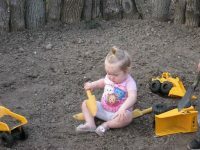 TRC Head Start Nature Playscape is an unstructured learning environment that allows children to run wild with their imagination. In a world overcome by technology, the playscape is an effort to reconnect children with nature. 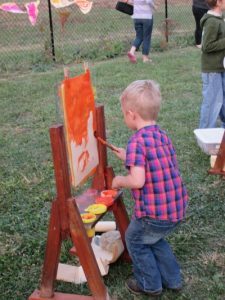 By doing this, the outdoor environment can have positive effects such as decreasing obesity and challenging behaviors as well as increasing creativity, problem-solving skills, approaches to learning, social studies, sciences, etc. Teachers will be utilizing the area as an extension of their classroom activities. What started out as a mere thought has turned into an amazing opportunity for children, families and community. In 2012 we began an unforgettable collaboration with Pam Harwood, Ball State University Professor of Architecture, and Ball State’s Immersive Learning Program. Over the past four years 109 Ball State students from multi-disciplinary areas have spent countless hours researching, designing, and building the nature playscape. Initially, BSU students and Pam Harwood met with TRC Head Start staff and families to collect information on what their visions were. Frequent meetings between students and staff continued for the duration of the project in efforts to gather and fine tune ideas. The ideas were then carried out via simulations with the children to see where their interests were, which helped guide the BSU students in their design. Trees and plants native to Indiana were planted throughout the site to assist with the boundaries of areas and to form a tree trail from one end of the site to the other. The structures were built out of recycled wood from our local ROC: Reclaim Repurpose Architectural Salvage as well as local trees that were cut down due to the ash borer disease. Areas are divided to provide opportunities for climbing, crawling, digging, building, reading, rolling, observing, running, exploring and much more. 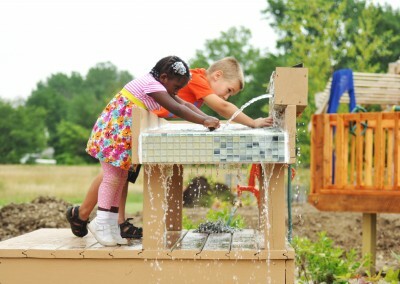 Our community has played a significant role in the success of our playscape. None of this would have been possible without their contributions. We would like to thank Ball Brothers Foundation, Community Foundation of Delaware County, College of Architecture and Planning Immersive Learning Mini Grant, Provost’s Immersive Learning Grant, Lilly Community Service Mini Grant, Sallie Mae Foundation, Bob Lewis Excavation, Brumond Smith Nursery, Flatland Resources, IMI, Rebuilding Our Community, Schick Sand & Gravel, Boy Scouts, Girl Scouts, Spence Restoration Nursery, Tabberson Architects, The Beamery, Whimwood, Ivy Tech ECE Department, and many other staff, family, and community members that participated in our Community Build days. Our playscape is open to the community and has recently been the meeting place for a few moms groups. In the future we hope to have a community garden in place.